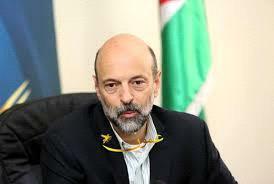 AMMONNEWS - Prime Minister Omar Razzaz on Tuesday pledged to address the environmental problems caused by a wastewater pool adjacent to the Pepsi company in the Ruseifa district of the Zarqa governorate. The "Pepsi Pool" has been an environmental dilemma that existed for decades and constituted a health hazard for the local community as it gathers the wastewater from the soft drinks bottling facility. People, who live close to the area have long complained about the constant presence of unpleasant odours, mosquitos and insects owing to stagnant water resulting from the leakage from nearby factories and rainfall. The premier, moreover, directed the Greater Amman Municipality and the Ministry of Water and Irrigation to take immediate action to solve the problem and put an end to the suffering of people living in the vicinity. "We realize that the people of the area have been patient about the problem over the years, awaiting the problem to be addressed", said Razzaz, who was accompanied by a number of ministers and lawmakers on a tour of the area.